Bruce is the Founder and President of Brock Auction Co., Inc. and Auction Realty of America, and he conducts auctions across the United States & Canada. 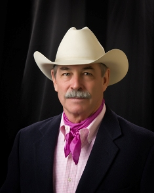 His passion, since 1980, has been to bring farmland, ranchland, livestock, real estate & personal property sellers the absolute best in sales expertise. As a 3rd generation licensed real estate broker (Iowa, South Dakota & Nebraska), he can serve both your auction and private real estate needs. Brock Auction Co., Inc. sells 10’s of Millions of Dollars’ worth of Farm and Ranch Land & Real Estate every year. As the first auctioneer to hold both the World Champion and International Champion titles in the same year, and to win all 3 major livestock auctioneer championships, Bruce has always strived to be the best. You can rest assured that he will use that same determination to get the absolute best for your sale. Many Local Fundraising Auctions: Plymouth County Fair, Little Yellow Dog, Life Skills, Humane Society, Bishop Heelan Catholic School, GeeGee’s Playhouse, and Many More. Plymouth County Sheriffs Department Comp. Rep.